The K-beauty craze has introduced a plethora of new products to American consumers and continues to flourish. The Korean beauty regimen hinges on a rigorous 10- to 16-step skincare routine that focuses on caring for the skin with the most innovative and concentrated ingredients. Driven by highly demanding consumers and competitive suppliers, Korean beauty is being hailed as a pinnacle of innovation in skincare. The commitment to innovation through research and development means Korean skincare is years ahead of U.S. skincare in terms of both effectiveness and sustainability. Through both the inventiveness of their ingredients and a dedication to sustainability in packaging, Korean beauty products are on the cutting edge and continue to draw interest worldwide. One of the most prominent products to arrive in the Western market, thanks to K-beauty wave, is the sheet mask. Traditional face masks have been a popular beauty product in the U.S. for a long time and have been gaining steady appeal in the marketplace. 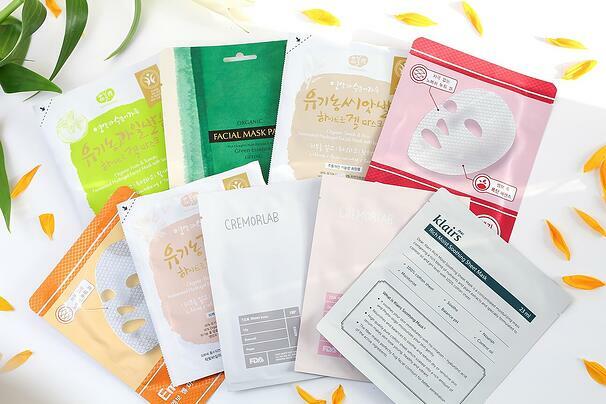 On top of a growing American infatuation with Korean beauty, sheet masks have become a huge star in the beauty market. These inexpensive, one-time-use masks boast numerous benefits, from minimizing pores to brightening dull skin and reducing blemishes. Sheet masks are a product-infused sheet of fabric, typically packaged in a flexible pouch to keep the sheet moist and maintain the product’s freshness. Freshness is key to a product’s effectiveness, so packaging plays a huge role in the success of these products. Flexible foil pouches offer the most sustainable, effective packaging for sheet masks because they optimize freshness while using minimal packaging material. K-beauty is also known for being visually interesting as well as effective, and their inventive designs are another part of their appeal in the marketplace. By designing beauty packaging that emphasizes the efficacy of their ingredients, Korean skincare products continue to capture the attention of consumers. 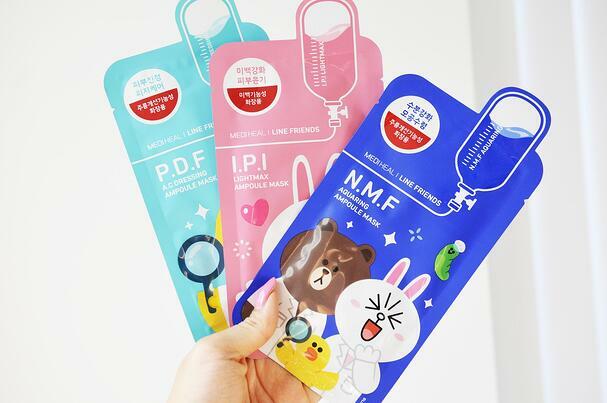 Flexible pouches have a wide face and back, making them ideal for face mask packaging because they allow for seamless, cleverly designed merchandizing directly on the package. The Korean philosophy of skincare is to use multiple products with potent and specific benefits and to repeat a pattern of use for the best results. Instead of a small number of premium skincare products in a large size, K-Beauty products are sold in smaller sizes and at a lower price point than most American and European brands. U.S. beauty brands are marketing and selling their own versions of traditional Korean skincare products, but to consumers who value authenticity, many prefer buying the traditional Korean product rather than a knockoff by a recognizable U.S. brand with a high price point. By marketing products as part of a more involved routine, and emphasizing the importance of beautiful natural skin as opposed to the need for makeup to cover imperfections, K-beauty consumers end up spending more, overall, by buying a larger number of smaller-packaged skincare products. This approach allows for the introduction of an endless number of new products and skincare packaging designs and is changing the way beauty products around the world are being marketed and sold. Stay tuned for part 2 in our series on the popularity of K-beauty packaging! Looking for customized sheet mask or beauty packaging now?